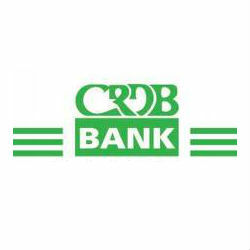 The CRDB Bank Tanzania has capitalised on the increasing business traffic between China and Tanzania by establishing a special desk to accommodate transactions between the two countries. The desk which resulted from the alliance of Bank of China, CRDB Bank and HSBC, serves as a one-stop intermediation institute for trading activities between Dar es Salaam and Beijing. Traders of Tanzania-China can now access banking platforms in either country by using CRDB Bank in Tanzania and the Bank of China and HSBC in China without exchange rate and language barriers. In similar trends, Ecobank Tanzania also placed focus on China-Tanzania transactions when the bank launched a special package of products to facilitate Sino-Tanzanian Trade in February this year. “We are keen on providing affordable and convenient financial solutions for the growing trade relations between Tanzania and China. With China investing over $868 Billion in Tanzania in the last decade, Ecobank seeks to fill the gap in providing targeted financial solutions to support this trend” says Mr Enoch Osei-Safo, Managing Director Ecobank Tanzania. With an ever increasing exchange between the two countries, banks have stepped up their services and showcased products that aid the financial logistics of foreign investment and trade in Tanzania which benefits both Tanzanian business and Chinese Investors.